TENTS, TABLES AND CHAIRS :: TABLES,CHAIRS AND TENTS :: FOLDING TABLES - The Outhouse Party Store Online | Candy, Chocolate, Rentals, Holidays, and More! 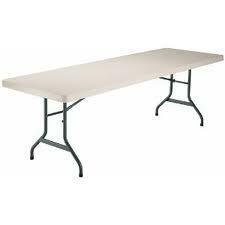 RENT THESE SIX FOOT FOLDING TABLES FOR $10.00 EACH!!! DELIVERY AND PICK-UP INCLUDED.